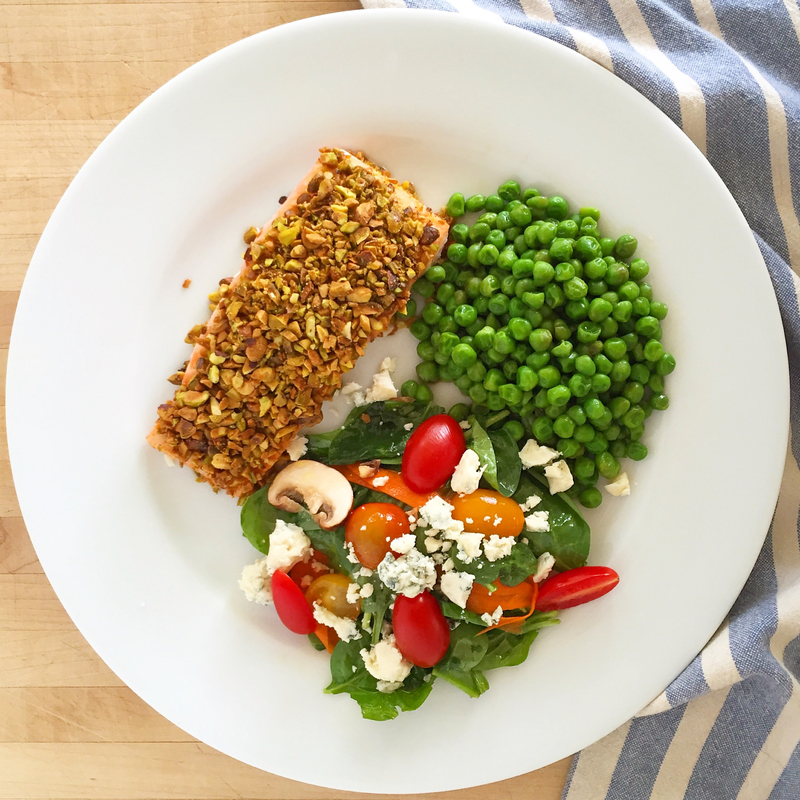 “Pistachio-crusted salmon.” Sounds fancy, doesn’t it? It’s not. But it is dee-licious. Very easy to make, too. All you need is fresh fish, melted butter and chopped nuts. You can use pistachios as I have below, or whatever you have on hand (mixed nuts, pecans, almonds). Whichever you choose, get the shelled, salted and roasted variety for easy preparation and deeper flavor. Then simply chop up the nuts or grind ’em your food processor. Roughly chopped, not too finely ground, is what you’re going for. Then place the fish on a parchment-lined baking sheet or in a baking dish (skin side down). You can use salmon as I have below, but feel free to mix it up (cod, trout or tilapia would all be great, too). Drizzle the fish with melted butter, season with a little S&P, and then top with the chopped nuts. Now bake! 350 degrees for 10-12 minutes, or 12-14 for thicker steaks. 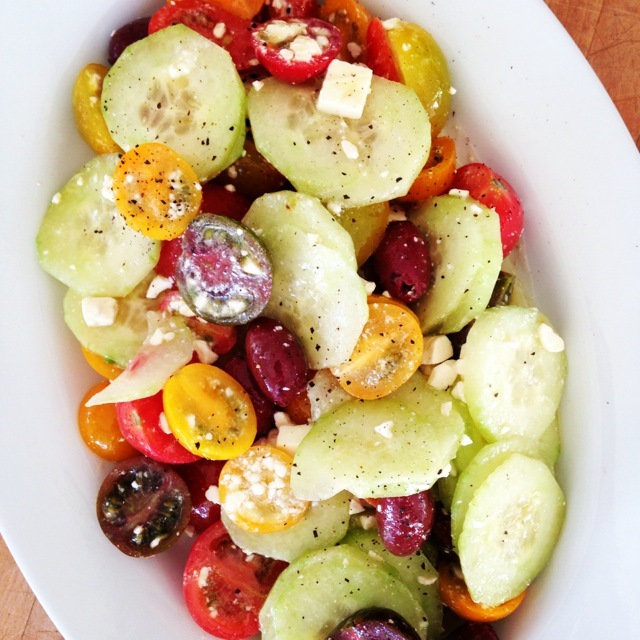 Put on some good music, drink a glass of crisp white wine and make a salad or side dish while you’re waiting. A light tomato-cucumber salad, simple white rice and nice crusty bread would go really well with the rich fish, butter and nuts. Are you hungry already? I’m starving! And that’s actually the secret to becoming a really amazing chef … you take soooo long that people are starving and/or drunk by the time the food is ready, and then they don’t care how anything tastes! Drizzle the melted butter over the fish. Then evenly sprinkle the pistachios over the fish; use your fingers to gently press the pistachios into each fillet. Marie! That sounds delicious and the perfect solution to this random redfish I have frozen that Alan caught. And your advice on how to be an amazing chef is so funny and *slightly* true!!! !